1.) Phil Rychcik, who is first of all, my personal assistant, and secondly an assistant to a few others on our administrative staff. If you call Heaven’s Family, Phil will most likely be the person with whom you’ll speak. He is Mr. Congeniality. Phil is smarter than me, with a Bachelor’s in Communications and a Masters in Education. 3.) Bruce and Patty Harris, who live in Rye, Colorado. Bruce has been traveling with me to Myanmar for years, and he has served on our board of trustees since 2013. Bruce and Patty now direct our Widows & Abandoned Women Ministry, and Bruce will soon be overseeing the Myanmar division of our Micro-Loan Ministry under director Dan Steward. Bruce and Patty are among our special staff of “Heaven’s Family Heroes” who work for free, supporting themselves by means of a network of four mental healthcare facilities that they own and manage (which obviously makes them both smarter than me)! 4.) Carmen Parise, who recently began directing our Disabilities Ministry. Carmen is currently on leave as a pilot for United Airlines, but he can fly for free as a passenger anywhere in the world. 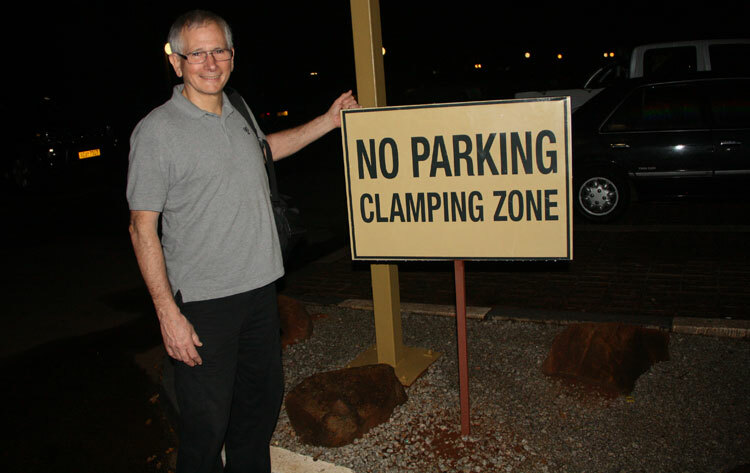 That is a very nice perk for one of our ministry directors, who must all travel overseas several times a year. Carmen also stands among “Heaven’s Family’s Heroes,” working without remuneration. And he is certainly another person on our staff who is smarter than me. He’s been piloting Boeing 737s all over the world for years! I’ve only been a passenger! 5.) Steve Kowalke, who lives in Minneapolis, joined our staff late last year as VP of Operations. Steve retired in 2005 from a 25-year career at Target Corporation, 10 of which he served as Treasurer of the $50 billion retailer. His plan was to focus on things that mattered more to him than making money. For a while, he held the position of Interim CEO at Children’s Home Society, one of the largest international adoption agencies in the United States. Like everyone else in this list, Steve is another one of our staff who is smarter than me, holding a Bachelor’s of Business Administration (Finance and Management) and an MBA in General Finance. I once heard that the secret to success in business is to always hire people who are smarter than yourself. So that is the advice I’m following, thinking that it probably also applies to the nonprofit world! Some other big news is that we’ve laid to rest our 13-year policy of paying for our fundraising, general, and management expenses by asking people to give to our General Fund. As announced in November and December emails and letters to all of our supporters and friends, we’ll no longer be asking a few people to pay for all of our essential administrative expenses. Rather, based on the biblical principles of fairness and personal responsibility, as well as common sense, we’re going to use a small percentage of every contribution to fund our essential fundraising, general and management expenses—firmly believing that those who benefit from services rendered should be the ones who should pay for them. Although this may sound like big news, it is not all that big of a change. We’ve always had fundraising and administrative expenses. All we’re doing now is spreading the burden of those expenses from the shoulders of a few to everyone who benefits from the hard work of our devoted administrative staff members (not to mention all the other supportive services, like printing, postal, banking and so on) that cost Heaven’s Family tens of thousands of dollars every year. I’ve detailed more good reasons for this policy change in my November e-Teaching. If you haven’t read it, I hope you will. I’m happy to report that 2015 was our most fruitful year yet. 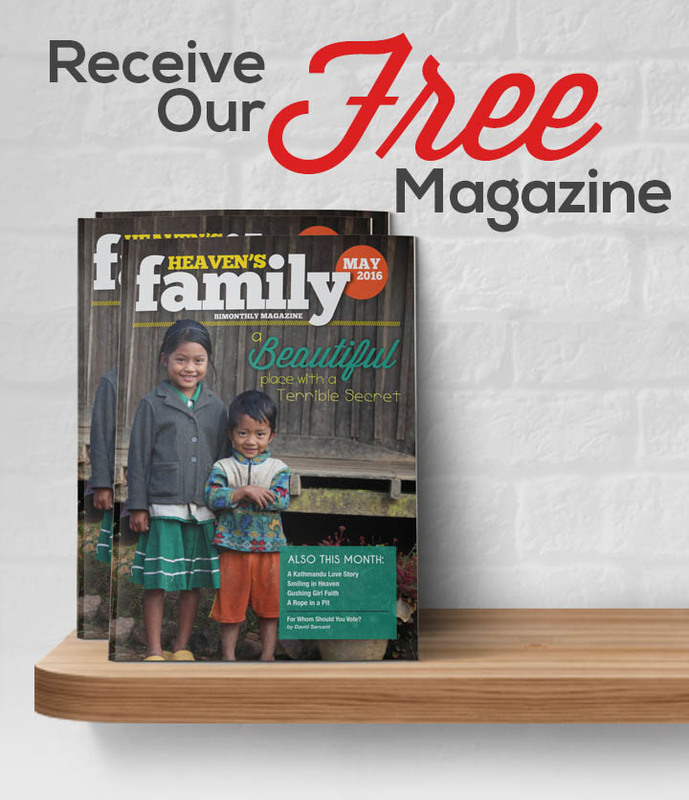 We’ve touched more lives around the world than any previous year, all due to the financial investments made by friends of Heaven’s Family that totaled a little more than $3 million (based on projections made as this magazine went to print in December). Our mission is to help build the kingdom of the Lord Jesus Christ on earth. We do that by linking needs that are of concern to Christ with resources that He has entrusted to those who love Him. Through strategic partnerships, Heaven’s Family invests in reaching the unreached with the gospel, discipling Christ’s followers, and serving the suffering—particularly those whom He referred to as the “least of these” (Matt. 25:31-46; 28:19-20). First, we desire to be faithful disciples of Jesus Christ who bear fruit for His glory, knowing that He rewards faithfulness with fruitfulness (Luke 16:10, 19:17; John 15:8). Second, we desire that our fruitfulness would never cease to increase. Our job is not complete until (1) the gospel has been heard by everyone, (2) Christ’s followers are thoroughly equipped with biblical understanding and fully obedient to His commandments, and (3) the needs of widows, orphans, and all the “least of these” have been met, and whenever possible, through sustainable means. Third, we desire to always operate as Jesus’ loving family, caring and sharing through personal relationships among staff, supporters, and those whom we together serve.